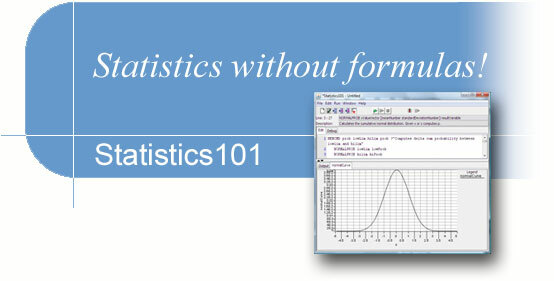 Statistics101 is a giftware program. I have enjoyed creating it and I give it to you in hopes that you will enjoy using it. It is my gift to you. If you use it and like it, you might feel moved to make a gift to me. If so, you can do so with the PayPal or the Amazon Honor System link below, with complete security. Any amount will make me happy. If you decide to make a gift, you will be helping me pay for the maintenance of the program and this website. If you decide not to donate money, maybe you'd like to send me a note about your experiences with Statistics101 (hopefully good, but if not good, I need to know that too). I will consider your note a gift, for it is an investment of your time and interest. I might choose to publish some of the notes on this website in the future, so if you don't want yours made public, just say so in your note.